Go to the Ansicon Github and download the latest version. Create an Ansicon folder on your C drive. 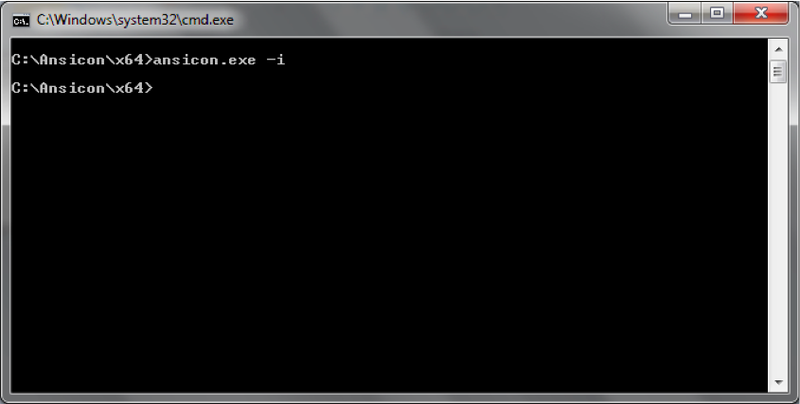 After you've downloaded the Ansicon archive extract its contents to to this folder. 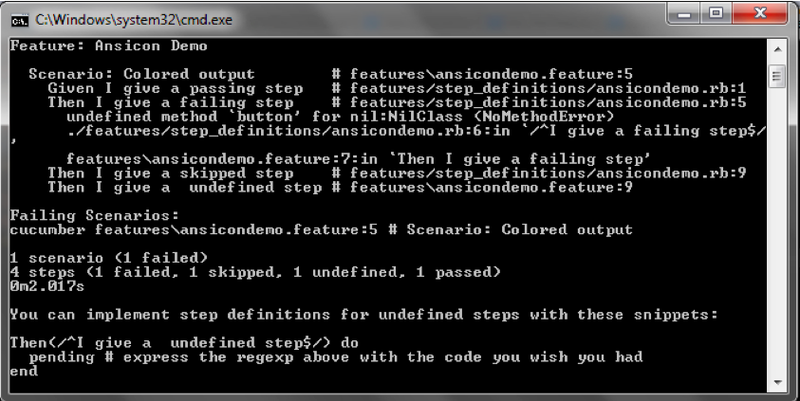 Assign a new Ansicon system variable to to the Ansicon folder. Now your system has been setup with ansicon. Before: All output is white. After: Output has color. Green means passed step. Red means failed step. Blue means skipped step. 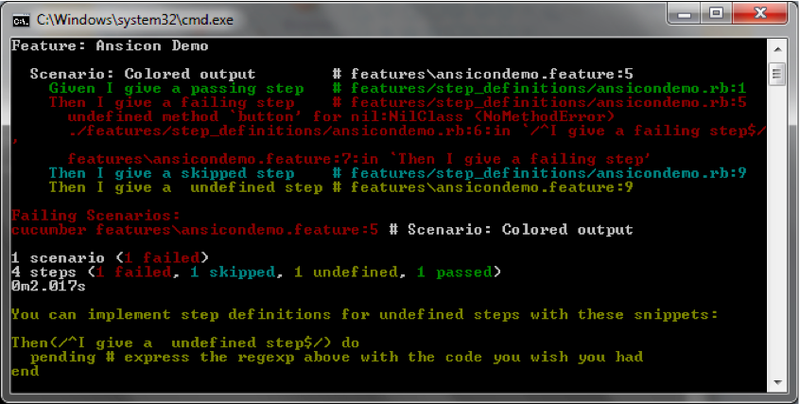 Yellow means undefined step.